This post was written by a dear friend of mine, Jaco Truter, who is a part of the group of believers that I break bread with every Sunday. I wish I could point you to his own blog but for the time being such a place does not exist. He shared a message on the mysteries of God similar to the one below last week and I asked him if I could have his notes and share it with all of you over here. I hope you enjoy it as much as I did. The grand narrative of Gods relationship with man as set out in the bible, details a definite sense of progressive revelation from the Old to the New Testament. Such grand doctrines as the Trinity, the New Covenant and God personally being the salvation of His people are all seen in the shadows of the Old Testament yet it is only in the New that we really see them in full color. In Paul’s gospel (as revealed to him by the Lord Jesus), Christ is revealed as the Mystery of God. Yet it does not stop there; in Paul’s letter to the Ephesians in chapter 3:1-6 we see the Church revealed as the Mystery of Christ and in Ephesians 5:30-32 it is clear that union with Christ is the Mystery of the Church (see also 1 Corinthians 6:17). This is illustrated in the diagram below. 1 Corinthians 1:18, 23-24 and 2:2 reveal that God has achieved all that He planned in His eternal purpose through Christ crucified, foolishness to the world, but to those who believe, the great power of God to salvation. Read those scriptures below and let them really sink in. 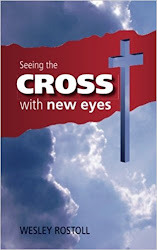 "But we preach Christ crucified, to the Jews a stumbling block and to the Greeks foolishness. But to those who are called, both Jews and Greeks, Christ the power of God and the wisdom of God." "For I determined not to know anything among you except Christ and Him crucified." Paul sums these four great mysteries up in Colossians 3:3 but in the opposite direction to that revealed in the diagram above. For you have died and your life is hidden in with Christ in God. “…for you have died and your life is hidden with Christ…” equals the mystery of the church. “…hidden with Christ…” equals mystery of Christ. “…with Christ in God…” equals mystery of God. And what exactly is the grand purpose of these mysteries? If you are a regular reader here you should have noticed the “A Living Alternative” ad on this page before. The book was written by a bunch of my online Anabaptist minded friends from the MennoNerds group which I am affiliated with. Although I personally have no official association with Anabaptism outside of the MennoNerds network; it is an expression or tradition within the Christian faith which I have discovered mirrors my own personal views regarding how this thing called the Christian life is to be lived out. I have gained much by reading Anabaptist writings and the testimony of the original 16th century Anabaptists is truly inspiring. Anyway, now that I have finally finished reading the book for myself let me tell what I thought about it. Firstly, it is a collection of 20 essays over about 300 pages written by twenty different people. reading the book could be likened to a certain degree to how I experience fellowship when the church that meets in my house assembles together. Everybody brings something unique to the table, some people open up and share from a very personal place within while others tend to be very academic and have the ability to make a seemingly insignificant portion of scripture come alive with meaning and beauty. And then there are others still who never seem to share a lot of 'info' yet they encourage and inspire with the fruits that are evident in their lives and stories. A Living Alternative has this kind of a feel to it. 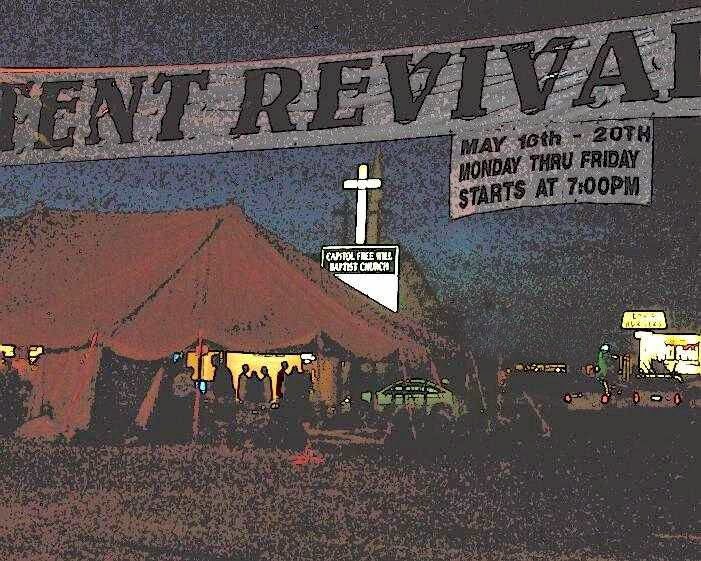 Some people like Chris Lenshyn and Steve Kimes take a look back at the history of the church (something that really appeals to me) to remind us of what the church once looked like and where it may have wondered off the path. Others like Drew Hart and Deborah-Ruth Ferber remind us of the value of those persons and people groups whom the church has often ignored and even oppressed and that their voices are equally importanat and vital to the life of the church. Tyler Tully shares in his chapter how the scriptures were compiled and written (the OT in particular) and how they should therefore be understood and interpreted (this chapter is probably best read slower than the other chapters and may need a few extra reads to be fully digested). Several others shared on very specific topics such as the importance of community and an outward focused church, hospitality and the gifts of the Spirit. 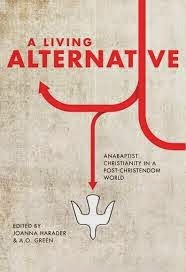 Benjamin Corey contributed a great piece as well which really just highlighted Jesus as the centre of all that Anabaptism stands for. Some of my favorite parts of the book were the chapters on hospitality by Hannah E. Heinzekehr and Deborah-Ruth Ferber’s chapter on being a single person in the church and her thoughts regarding celibacy. Robert Martin’s chapter on ‘Starving the Beast’ was also a great read which looked at how kingdom people can offer a tangible alternative to the systems of oppression and power which the empires of the world operate by. I could not help but think though that Roberts chapter could just as easily have substituted the words government or empire with the word church and it would still be frighteningly accurate. This is an area where the Anabaptists and organic churches can be a real example to the rest of the church. Showing how, under Christ’s headship, there is no need for abusive hierarchies as we learn to “submit ourselves one to another”.